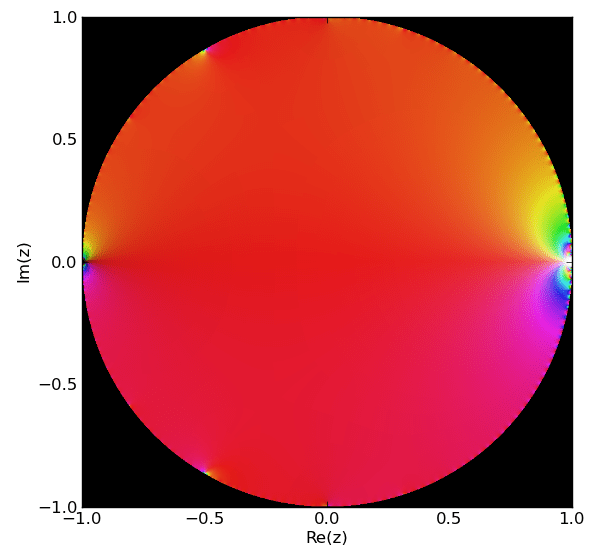 And this is a domain colored picture of plotted with mpmath. The general question here is sort of higher order to the “where are the zeros and poles of this function?” — on seeing a picture of the function you have a visceral appreciation of its geometry. 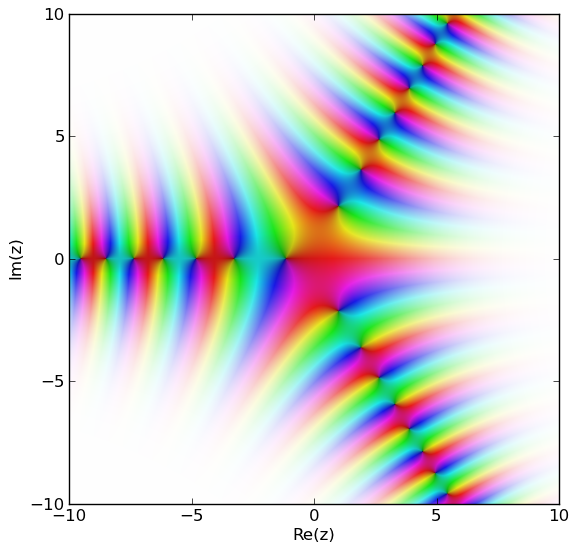 I don’t need to talk about residues and whatnot: you apprehend the function (on the subset of the complex plane that has been domain colored) all at once. If I had plotted a polynomial, one could read off the zeroes very easily. But in the case of more complicated functions, it is not always clear that Weierstrass factorizations are effective, or easy to accomplish. How much of the qualitative geometric structure of complex functions can be directly read off from the general form of the power series coefficients? not “Misiurewicz points” but “Misiurewicz stalks”. It’s known that at the Misiurewicz points, there’s asymptotic self similarity. But this got me thinking: when we do magnifications of fractals, we’re not really exploring the points that the set is composed of so much as their asymptotic structure, and that asymptote is not zero dimensional information, but a open subset of the plane. 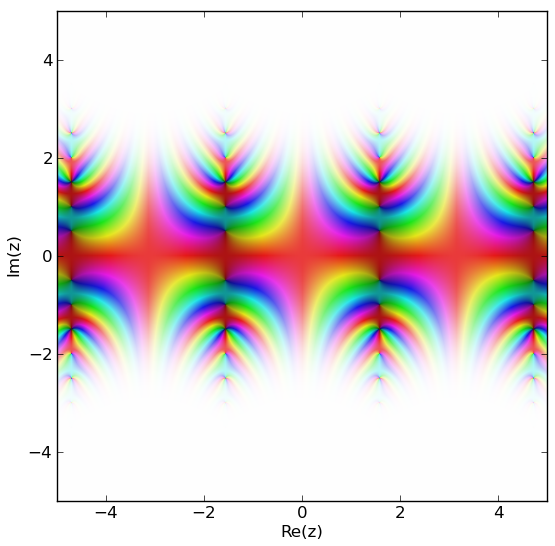 So instead of a Misiurewicz point , we’re really examining the Misiurewicz stalk of the Mandelbrot sheaf . The following is a list of words that start with “eigen”. some of these are legitimate mathematical concepts, and some may be fruitful things to look at.